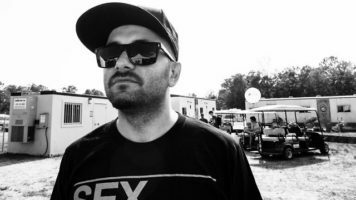 Mayfest tell Flipside that Slovenian EDM boy Gramatik, also known Denis Jašarević, are perform at Dillo Day 2017 in Lakefill. He to be second to last mainstage act of Dillo’s Day festival. Somewhat a entrepreneur, EDM boy own Lowtemp Records, company for distribute all the high temp beats. Accord to EDM boy, who say it “morally right for music to be primarily free,” all music on label offered free. But reporter know his secret. They try to YouTube listen his song Native Son and had to listen to ad. Shake head disapproving. Flipside ask Mayfest why it bring EDM boy to campus even though he being sneaky with financials. They say it a trade off. “We can’t wait to see Gramatik bring fun and funky vibes to the Lakefill.” Fine, can buy a little fun and funky. Informant of Flipside think EDM boy also getting paid for Dillo performing. But this how life is. Even freedom has cost. Sell or be selled. If not able to see EDM boy at Dillo in May, sources hear it possible to see him Lollapaloozing in August with opener by Andy Grammer.